Imagine having a fist in your gluteus muscles. It is squeezing as hard as it possibly can. The pain is constant. It is brutal. The pain travels from your buttocks down your thigh and into your calf. Eventually, it reaches your foot. Your big toe is in agony, and then it goes numb. Your gait becomes uneven, and your steps become unsure. Sciatica pain is like this for many sufferers.Your experience with sciatica pain may reflect the symptoms mentioned above. Or your symptoms may be different. Regardless of how sciatica is affecting you, one thing is true, it changes your life. We know how painful, frustrating, and debilitating sciatica pain can be. We want to help you manage and if possible remove your pain. But why do you have sciatica pain in the first place? What are its symptoms? And what puts you at risk for sciatica? The symptoms triggered by sciatica can be most unpleasant. It is likely that you will experience lower back aches. There is a stinging sensation that feels like 100 hot needles have been stuck into your buttocks. The muscles get extremely tight. Sciatic pain fluctuates. You could have moments where your sciatic pain is very infrequent. Other times, it’s constant, insidious, and incapacitating. Your symptoms will fluctuate depending on the part of the sciatic nerve that has been pinched. While sciatica symptoms are excruciating, it is rare that the damage becomes so severe that permanent nerve tissue damage results. Your sciatic nerve is the largest nerve in your body. It is made from nerve roots that start in your lower spine and then branch out as it travels down your leg. Level by level, traveling through your lower spine, nerve roots exit the inside of the spinal canal. All of these nerve roots join together and make up the large sciatic nerve. Your sciatic nerve will start at lumbar segment L3. This large sciatic nerve will start at your lower back, go through your buttocks, and travel down the back of each of your legs. From there, new branches are formed that go into your calf, your toes, and your foot. 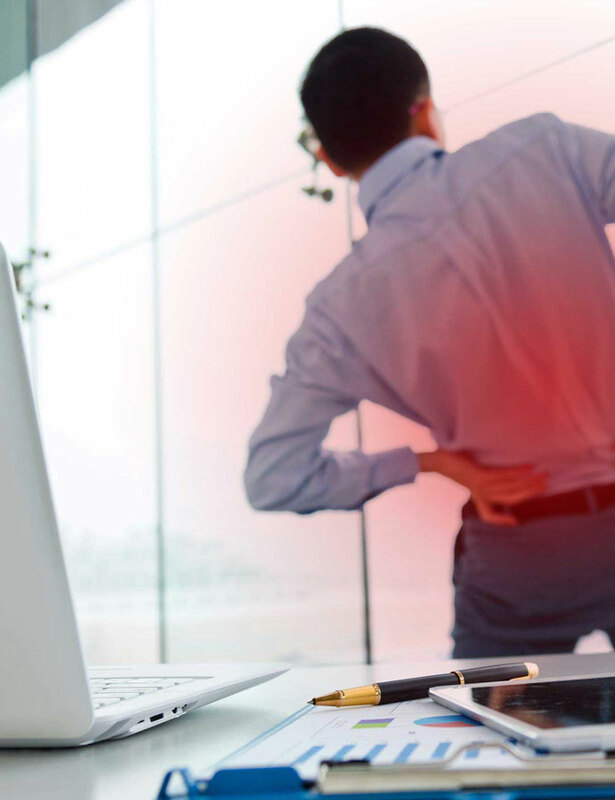 Because of the size of the sciatic nerve, and because of the large area that it controls, it is easy to understand why a pinched sciatic nerve can cause such severe pain. What Is the Progression of Sciatica? It is highly unlikely that a person will develop sciatica prior to the age of 20. Most people experience it once they hit 40 or 50. Sciatica is estimated to affect up to 40 percent or more of the population at one point or another. It is unlikely that you have sciatica because of one injury. Instead, it is something that develops over time. Some people are fortunate and their sciatica pain clear up on its own within a few weeks. However, for other people the pain is chronic, it is severe, and it is debilitating. There is no denying the horrific pain sciatica causes. If you are currently suffering with the symptoms of sciatica, we want to know that we empathize with your pain. Our goal from the first day we see you is to help you manage your sciatica pain in the short-term and for the long-term. Of course, the only way that we can do this is if we accurately understand the pain that you are experiencing. For this reason, the first thing we do when you come into our office is to sit and listen to you. Tell us about your unique and individual experience with sciatica pain. This will allow us to create a unique and individualized pain management treatment specifically designed for you. Regardless of what your friends, family members, or other medical professionals have said, we know that the pain you are experiencing is real. It is not a cry for attention, and it is not an attempt to gain access to prescription drugs, but it is tangible, it is quantifiable, it is real. Sciatica does not need to define who you are or how you live your life. Let us use our years of expertise to work with you to create a program that will get you back to living the life you did before sciatica.